Ascot season is back and the hats, fascinators and headbands are bigger than ever. Ascot season is back and the hats, fascinators, bonnets and headbands are bigger than ever. When the dress code calls for statement millinery, some take a cautious approach – it’s not every day that we practise this sartorial ritual, after all. But some give the theme everything they’ve got and use Royal Ascot as the opportunity of the year to indulge in the truly excellent sport of fascinator peacocking. 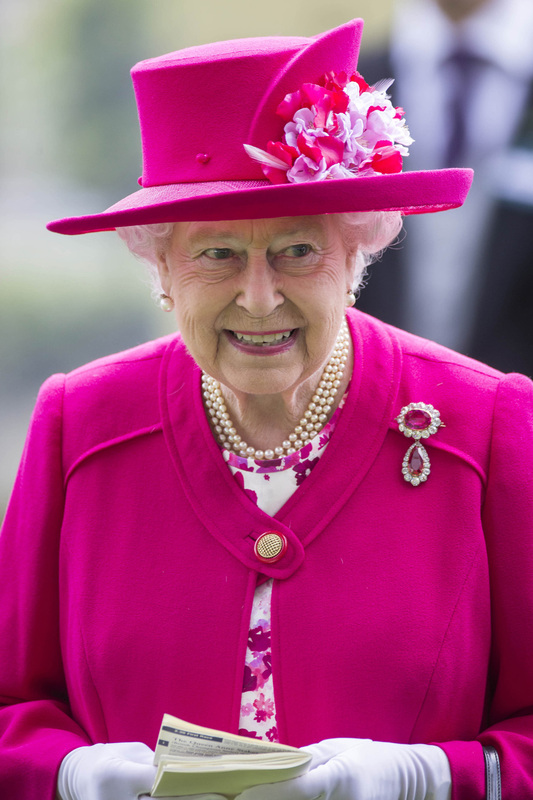 Her Majesty was a vision in magenta as she officially opened Ascot week (and in turn mega-hat season) yesterday. With a classic shape by her Royal Milliner Rachel Trevor-Morgan, she set the bar for this year’s attendees. She’s had her fair share of difficulties with headgear in the past (who could ever forget those lobster memes mocked up on her Royal Wedding fascinator?) but Princess Beatrice was on form with this angled black disc. Sophie’s gone for sail like proportions, pared down with soft pearls and a classic side chignon. All looks chic and effortless from the front but, with a blind spot like that, we bet turning right could prove mighty hazardous. Damian’s taking Dickens as his style icon (it seems a lot of guys do at these sort of events) while Helen is already nailing next season’s ladylike trend, complete with all the right accessories. Of course, a horse! Because Royal Ascot isn’t only about the hats now, is it? We’re keen on the seed bead horse appliqué and the plumage tail detailing – as long as it doesn’t poke us in the eye at the bar. Wowza. We’re not sure how this attendee’s kept her balance all day, and we certainly wouldn’t want to be the one trying to peer over that confection at the finish line. But, all the same, we can only salute her sartorial efforts. 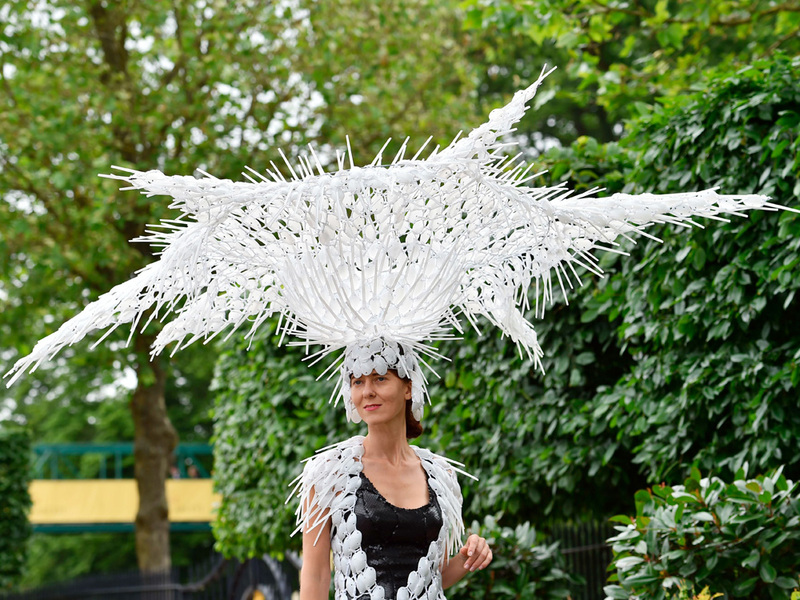 Because when we looked at racegoer 2’s hat our first thought was also, ‘sure, but we bet you could go bigger.’ Yes only on Ladies’ Day would someone attempt to take on a wingspan like this as their own. But the question is; feathers or spikes? Is it prickly, or tickly? Tell us which look is your favourite on Twitter @MarieClaireUK.